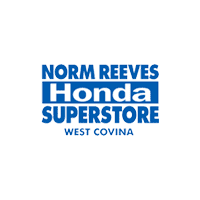 Why Buy From Norm Reeves Honda Superstore in West Covina? If you can find the same new Honda for less within five days Norm Reeves Honda Superstore in West Covina will pay you the difference or buy your vehicle back. 5-Month or 5,000-Mile Warranty: Covers engine components, manual and automatic transmission, and axle assembly components. Applies to most pre-owned vehciles. We compare our pre-owned prices with over 20,000 automotive websites daily ot ensure our inventory is value priced.